Lewiston - Anita Rita Cook 97 of Lisbon died Wednesday August 15, 2018 at Central Maine Medical Center after a four day stay. 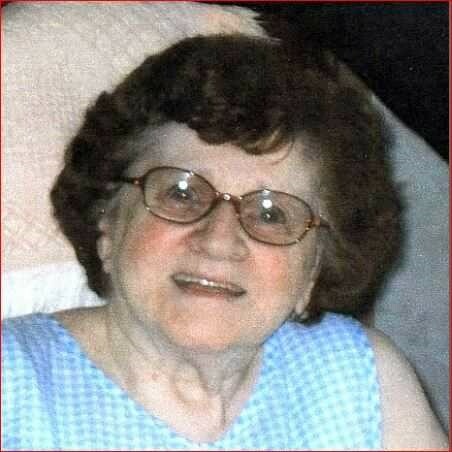 Born in Lewiston July 26, 1921 a daughter of the late Arthur and Cecile Veilleux Parent she was educated in Lewiston schools and graduated from Lewiston High School in the Class of 1940. She was married to Robert K. ( Bob ) Cook who died July 17th 2002. Mrs. Cook was a member of Holy Trinity Church in Lisbon Falls. She worked as a clerk at Fantastic Fair and Ward Bros. and later as Office Manager for Bob Cook's Auto Electric and was Park Manager for Sunset Garden Trailer Park in Lewiston. She enjoyed traveling with her husband Bon, especially to Boothbay Harbor, where they often took weekend trips and will be remembered for her great smile and personality. She is survived by her son and care giver David P. Biron of Lisbon, stepson John Cook and wife Linda of Lewiston, stepdaughters Linda Cook of Rome, NY, and Pauline Biron and husband Larry of Lisbon Falls 4 grandchildren and several great-grandchildren, several nieces & nephews, including Mike Fournier and Wife Nancy of Lewiston and Norm Fournier of Seattle, WA.. She was also predeceased by her son Marc N. Biron.